Exploring the mysteries of music requires knowledge, imagination, and humor. G4B provides an upbeat approach to listening skills and integrated curriculum while performing selections from Bach to Ravel to Gonzalas-Medina. Our global repertoire provides a circumference of knowledge and awareness of music landscapes, and traditions in the way music is made worldwide. 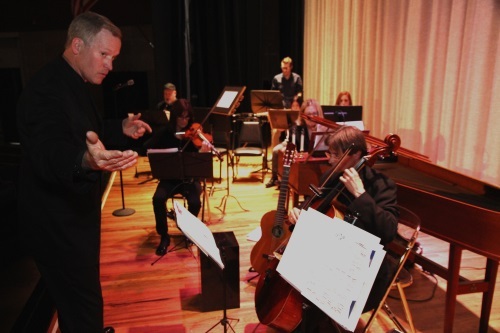 All experienced educators, the musicians intertwine arts-learning with entertaining dialogue….capturing the attention of students and adult learners alike, leaving them spellbound and enlightened.